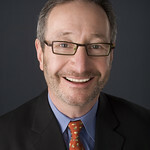 Michael Maso is the managing director at the Huntington. He has led the Huntington’s administrative and financial operations since 1982. He has produced more than 200 productions in partnership with three artistic directors and is one of the most well-regarded managing directors in the theatre industry. Under his tenure, the Huntington has received over 140 Elliot Norton and Independent Reviewers of New England Awards, as well as the Tony Award for Outstanding Regional Theatre. Mr. Maso received the 2016 Massachusetts Nonprofit Network’s Lifetime Achievement Award, as well as TCG’s 2012 Theatre Practitioner Award, the Huntington’s 2012 Wimberly Award, StageSource’s 2010 Theatre Hero Award, the 2005 Commonwealth Award (the state’s highest arts honor) in the category of Catalyst, and the 2000 Norton Prize for Sustained Excellence. In 2004, the Boston Herald honored him as Theatre Man of the Year. Mr. Maso led the Huntington’s 10-year drive to build the Stanford Calderwood Pavilion at the Boston Center for the Arts, which opened in September 2004, and is currently leading the redevelopment and renovation of the Huntington Avenue Theatre. He previously served on the Boston Cultural Planning Steering Committee and previously served as a member of the board for ArtsBoston, Theatre Communications Group (TCG), and StageSource and as a site visitor, panelist, and panel chairman for the National Endowment for the Arts. In 2005, he was named as one of a dozen members of the inaugural class of the Barr Fellows Program. Prior to the Huntington, he served as the managing director of Alabama Shakespeare Festival, general manager of New York’s Roundabout Theatre Company, business manager for PAF Playhouse on Long Island, and as an independent arts management consultant based in Taos, New Mexico.